John Desmond, interior, miller memorial library, 1957, hammond, la, John Desmond Papers, Louisiana and Lower Mississippi Valley Collections, LSU Libraries. Architecture is the art form in which we live our lives and because of that can teach us about shapes, colors, proportion, design, geometry, science and social history. This project includes lesson plans for Pre-K through 12th grade along with resources for creating specialized lesson plans that utilize local architecture. 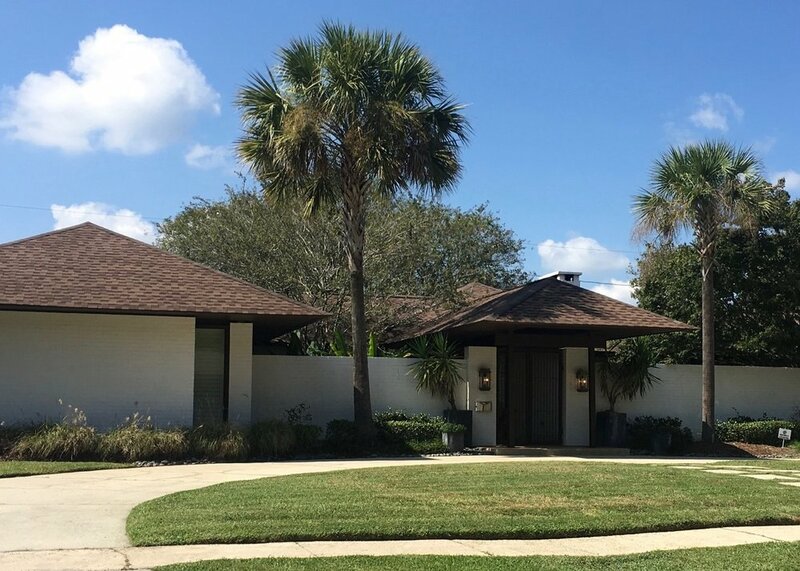 These lesson plans were created to highlight the stylistic tenants of modern architecture and the contribution local modern architect, John Desmond, to the built environment of Hammond, Louisiana. Not only will these lessons give students a nuanced understanding of architecture, they will instill a sense of civic pride in local architecture and preservation in Hammond. There is a breadth of resources for learning from the built environment of Hammond. These resources are just the beginning. The framework for these lesson plans was developed from the Michigan Architectural Foundation’s “Architecture! It’s Elementary” K-5 curriculum and heavily altered to relate specifically to modern architecture in Hammond, Louisiana. John Desmond, educational facilities, first united methodist church, Hammond, la, John Desmond Papers, Louisiana and Lower Mississippi Valley Collections, LSU Libraries. Geometric Shapes: Students will find six basic shapes – square, circle, triangle, hexagon, rectangle, ellipse (oval) – in architectural drawings by John Desmond, a modern architect based in Hammond, Louisiana. The drawings will allow students to become familiar with the style of modern architecture and simple geometric shapes. John Desmond, dining room, The Desmond Residence, 903 Greenlawn, John Desmond Papers, Louisiana and Lower Mississippi Valley Collections, LSU Libraries. 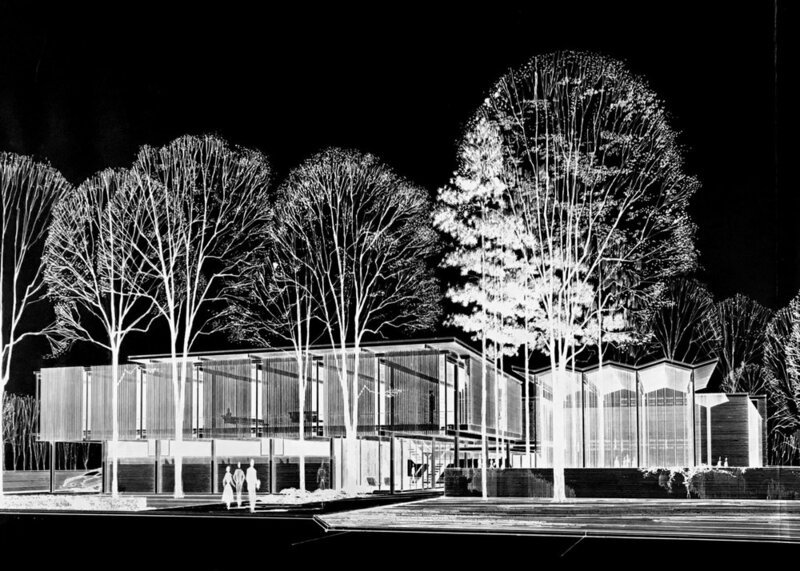 Proportion and Scale in 2D Design: Students will look at photographs and renderings of John Desmond’s modern buildings in Hammond and discuss how they relate to the size of humans and the environment. Students are tasked with figuring out which scales of objects fit best with which buildings. John Desmond, miller memorial library, 1957, hammond, la, John Desmond Papers, Louisiana and Lower Mississippi Valley Collections, LSU Libraries. Building Types: Students will consider the different types of buildings that they have been in lately. What was the purpose of each building? What differs in the design of each building? Students will be able to accurately determine building use and become more attuned to design elements in public architecture. John Desmond, interior rendering, baxter residence, hammond, la, John Desmond Papers, Louisiana and Lower Mississippi Valley Collections, LSU Libraries. 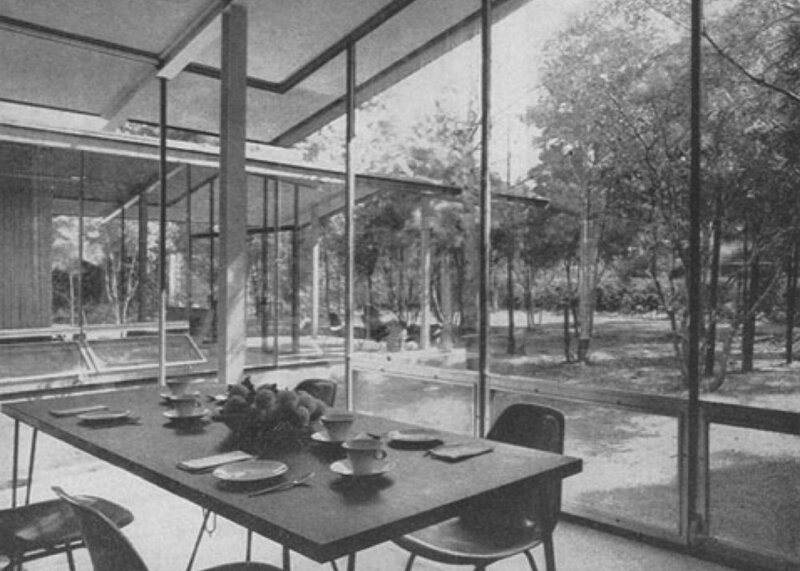 Design Your Modern Home: Students will learn about the history of modern residences in the United States and Hammond. Students will be tasked with creating a floor plan and front elevation for their own modern house. 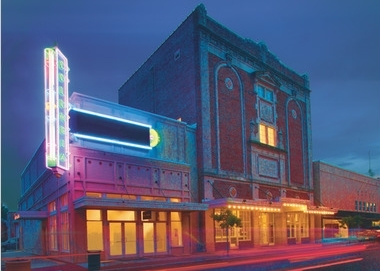 columbia theatre, 1928, hammond, La, columbiatheatre.org. Hammond Landmarks: Students will learn about the history of modern residences in the United States and Hammond. Students will be tasked with creating a floor plan and front elevation for their own modern house. 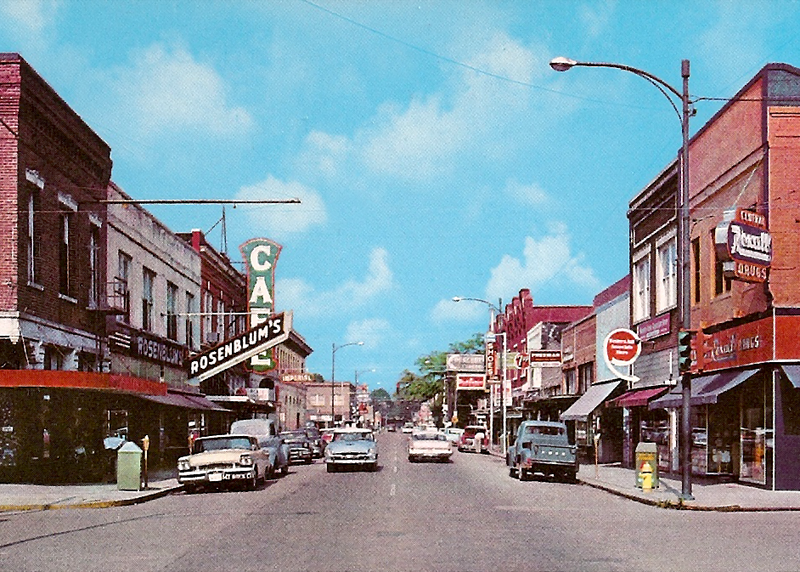 East thomas street, circa 1950'S, hammond, LA, HAMMOND HISTORIC DISTRICT COMMISSION. Preservation of Hammond: Students will learn about the role of preservation in architecture, the community, and the local economy. Students will learn to articulate their views on preservation and create planning boards. john desmond, the second desmond house, photo by anna marcum, october 2017. Writing About Modern Residential Architecture in Hammond: Students will write about the history of modern residential architecture in the United States and Hammond, Louisiana in a narrative manner in preparation for the LEAP 2025 Grade 6 English Language Arts Assessment. 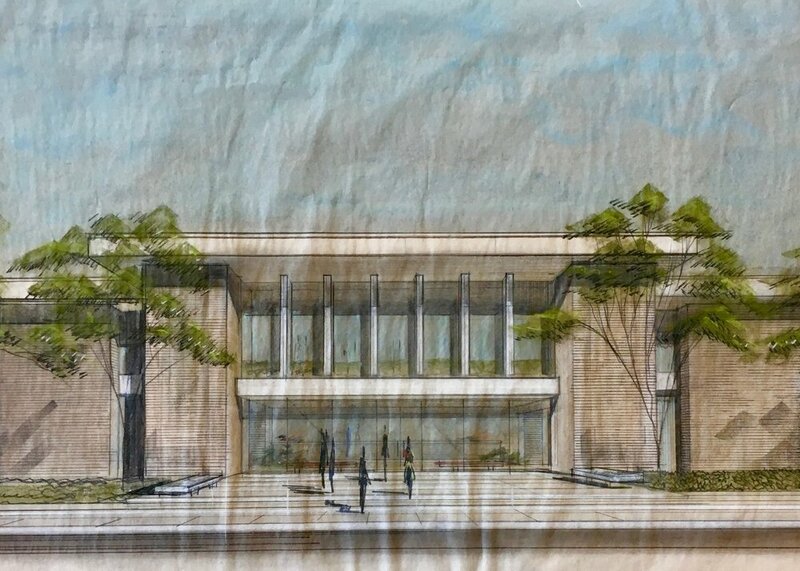 John Desmond, city hall rendering, hammond, la, John Desmond Papers, Louisiana and Lower Mississippi Valley Collections, LSU Libraries. Writing About Modern Commercial Architecture in Hammond: Students will write about the history of modern commercial architecture in the United States and Hammond, Louisiana in a narrative manner in preparation for the LEAP 2025 Grade 7 English Language Arts Assessment. Writing About the Historic Built Environment: Students will write about the history of modern commercial architecture in the United States and Hammond, Louisiana in a narrative manner in preparation for the LEAP 2025 Grade 8 English Language Arts Assessment. John Desmond, SELU cafeteria building, hammond, la, John Desmond Papers, Louisiana and Lower Mississippi Valley Collections, LSU Libraries. Independent Study: Coursework at the high school level is more specialized to the student’s personal interests and each high school has different educational imperatives. Therefore, below are a collection of starting points for advanced lesson plans in a variety of subject matter. John Desmond, SELU Catholic student center, St. Albert the great catholic church, 1962, hammond, la, John Desmond Papers, Louisiana and Lower Mississippi Valley Collections, LSU Libraries.